The Bachelor Australia 2018 Eliminations: Who Went Home? Oh boy, do we have a twist for you. 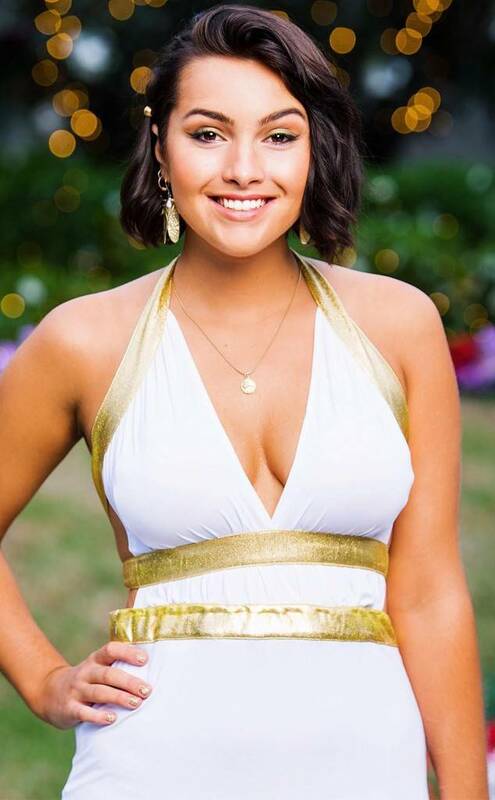 The final episode of The Bachelor Australia season 6 saw Nick Cummins struggling to choose between Brittany Hockley and Sophie Tieman while holidaying in New Caledonia. The 25-year-old property valuer’s sense of adventure and obvious chemistry with the Honey Badger wasn’t enough for Nick, who told her he wasn’t ready to commit or say I love you. Surprise, she also went home. Yep, Nick turned down both finalists and left the show a single man. After the 30-year-old radiographer got dumped, she rushed to tell Sophie and the two girls shared a good laugh and cry about their fate. Sophie took a leap of faith during her skydiving date, Brittany climbed a lot of lighthouse stairs, and Brooke got a motorbike ride and a body painting session (classic date combo) with Nick. In yet another shock walk-out, Brooke decided to leave The Bachelor mansion on her own accord. “I came here to fall in love and I need a guy that knows what he wants. And can tell me that’s me,” she told Nick through tears. But when he unable to reassure her of his feelings—or ask her to stay—Brooke decided enough was enough. Hometown visits to meet Sophie, Britt, Cass and Brooke‘s families were full of drama, but nothing compared to the Brittany‘s cocktail party confrontation of Cass over her past relationship with Nick Cummins. Despite previously going on “one or two dates” with Nick before the show, the 23-year-old Sydneysider just couldn’t make it work with him this time around. A 1950s bowling date brought epic throwback fashion and revealing diary entries—but not everyone got a perfect score. The 32-year-old Russian broke down in her final episode over being away from her 6-year-old son Leon. Not wanting to keep them apart any longer, Nick decided to send Dasha home to South Australia. The 24-year-old from New South Wales couldn’t dance her way into Nick’s heart. A group date Segway relay saw tensions run high among the remaining seven bachelorettes. Nick Cummins chose Brooke for more solo time and shared a single date with Emily learning ballet. Cass finally scored her solo date with Nick Cummins, which included being dropped from massive heights and slipping down water slides at Wet N Wild. The Bachelor Australia girls put their nature skills to the test, crossing muddy rivers and jumping over logs. But not everyone earned a rose. After that disastrous date with the swords, the 27-year-old intruder (and NSW hospitality manager) failed to get a rose this week. Dasha, Sophie, Britt and Brooke got their hearts racing at the speedway, and challenge winner Sophie scored some extra one-on-one time with Nick, plus something even better: a box of avocados. Jamie-Lee’s Japan-inspired date didn’t go to plan, and neither did the cocktail party, where one of the bachelorettes decided to leave on her own terms. Tenille showed her sweet side on a single date with Nick, but started doubting her chances after the ‘human lie detector’ made an unflattering assessment of her. Fearing it was only a “matter of time” before Nick sent her home, she decided to call it quits. On their second date, the Honey Badger and Brittany explored their wild side at an animal park—and ended the night with a kiss. The Bachelor Australia then got all Meet the Parents on us when the girls were subjected to a human lie detector test. Later, Brooke later opened up about her dating history at the cocktail party. But here’s who was sent packing. Intruder Deanna’s time was short and sweet on the show. She was deemed “hard to read” during the lie detector test, and that spelled the end for her. After a swimming carnival inspired group date, MVP Emily aka Rory Gilmore scored some one-on-one time and a kiss with Nick Cummins, while Brooke continued her winning streak with a third date. But the toga-themed cocktail party was the real showstopper of the ep, when one bachelorette was asked to leave—and another walked out on her own accord. Despite Cat’s insistence that she has a “heart of gold”, Nick believed they had different values and sent the jewellery designer back to Bali home. It’s a walk off! Romy scored a rose from the Honey Badger, but decided she’d had enough of the Bachelor mansion. Political advisor/third snake Alisha suffered the same fate as Romy and Cat and was sent packing. We’re honestly surprised delightful intruder Brittney didn’t form a conga line on her way out of the mansion. Your loss, Honey Badger. To keep Nick Cummins—and the other contestants—on their toes, three intruders were added into the mix at the Bachelor mansion. Newbie Jamie-Lee injured her ankle during a group date, but on the upside, found herself in the arms of the Honey Badger. And, in perhaps the most dramatic cocktail party to date, flight attendant Tenille ripped off her microphone and took flight after an argument with Romy. But thanks to some sweet talking from a producer, Tenille decided to stay—at least for another week. Here’s who was sent packing. Despite her soaring hot air balloon date last week—and almost kiss with Nick—Rhiannon was left deflated when she did not score a rose. Property consult and single mum Ashlea quipped on Instagram, “If I don’t get a rose tonight at least I’ll be looking good walking away.” She certainly got that right! A group date camping trip made for the most high-stakes Bachelor Australia rose ceremony yet. Romy crawled into Nick Cummins’ swag in the middle of the night (He says nothing happened other than a lot of giggling.) Cass had another heart-to-heart with the Honey Badger, and Vanessa Sunshine managed to set up her tent faster than anyone else. A heartbreaking turn of events for the 27-year-old shining bright light. Vanessa quickly became a fan favourite for her dry humour and DGAF attitude. But, Nick wasn’t impressed that she wavered when asked if she was attracted to him, so back to reality she went. A surprise visit from Nick’s brother, sister and father cemented Brooke and Brittany as The Bachelor Australia frontrunners, while others like Romy and Blair got caught up in major drama. Nick told Cass he’s not yet at her “level” of affection, but he wants to see how they grow. So, which of the contestants didn’t make the cut in episode 5? The ref (aka the Honey Badger) didn’t rule in the 27-year-old sports teacher’s favour tonight. 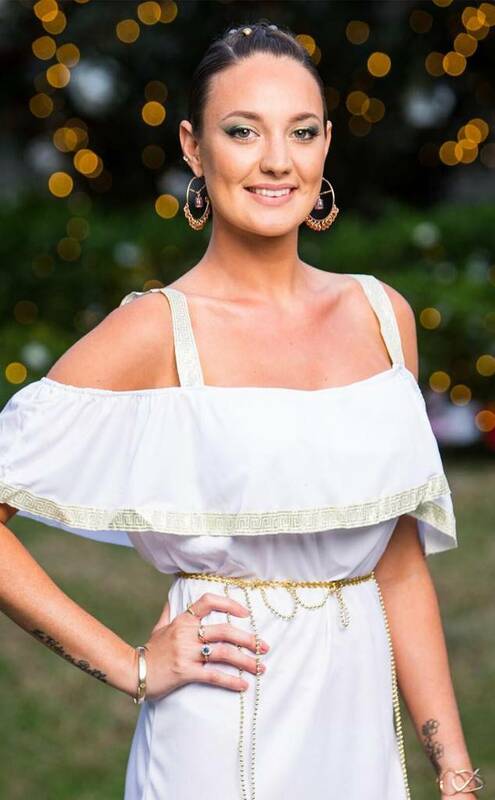 Despite standing up to Romy and Cat to defend Cass and Vanessa Sunshine, the Queenslander’s bravery wasn’t enough to earn her a rose. Dasha charmed Nick Cummins with her attempts to fish and understand Aussie slang, while Cat somehow won “best and fairest” in a game of arrow tag. Cass spent the evening fretting over not getting solo time with Nick, and Vanessa Sunshine continued to entertain. The 23-year-old children’s entertainer went out with a bang, staring Nick down and declaring, “I can’t believe I shaved my legs is” before stomping out with nary a hug or handshake. Namaste, Aleks. The 31-year-old health clinic coordinator and yoga teacher failed to stretch out her time on The Bachelor. Brittany made an impact during a footgolf date and scored a steamy pool kiss, while Brooke used her Bachelor pad key to bring Nick Cummins breakfast in bed. Dasha told Nick about her 5-year-old son, and Cass read out an emotional entry from her diary. But who failed to impress when it mattered most on episode 3 of The Bachelor Australia? The energy in the room just wasn’t right for the 27-year-old energy healer. But she made sure to stir the pot one last time on her way out, pulling Nick aside to warn him of “inauthentic” girls like Cat and Romy, who she claimed were only on the show for fame. Alas, jumping in the pool was all for nothing. The 25-year-old flight attendant joined her fellow Cayla in exiting the mansion, jetting back to her South Australia home sans Badger. We’ll always remember the 23-year-old retail manager for shrieking “IS THAT THE HONEY BADGER? !” upon first glimpsing Nick Cummins. She calls herself a “pocket rocket”, and we’re sure she’ll blast off on a new relationship adventure soon. The second episode of The Bachelor Australia saw Romy make her move on a private date with Nick Cummins, as she planted multiple kisses on the Honey Badger. She and fellow solo date scorer Shannon both earned roses, along with frontrunners Brooke and Sophie. Dear, sweet Juliana. The 29-year-old NSW lifeguard first stood out for her bare feet in her promo shot. It’s unclear if we ever even got to hear her speak on the show, but the self-described “resilient mermaid” will do just fine. Another unfortunate victim of the cutting room floor. The 30-year-old business analyst from Victoria was rarely seen in her two episode arc, but the “intelligent tomboy”s bio says she owns a tool belt, so we’re sure she’s been able to mend her broken heart since filming. Nick Cummins started off with 25 contestants on The Bachelor Australia‘s season 6 premiere, but the Honey Badger quickly eliminated three women during the first rose ceremony at the end of the episode 1. While Brooke Blurton shone (and earned the coveted key to the Bachelor Pad), others weren’t so lucky. Autumn, we barely knew ye. The 29-year-old Victorian was only briefly seen in the first episode before failing to secure a rose from Nick. Oh, Susie. Being “straight forward, blunt and sporty” wasn’t enough to make the 30-year-old account manager from Western Australia the apple of Nick’s eye. So long, Susie. The 34-year-old Polish-born creative director describes herself as a “hunter” when it comes to dating, but unfortunately she became the prey on Night 1. The Bachelor Australia airs at 8.30pm Tuesdays and Wednesdays on Bravo.